Ever since Apple unveiled the AirPods, a lot of manufacturers started pushing the envelope to make wireless earbuds. 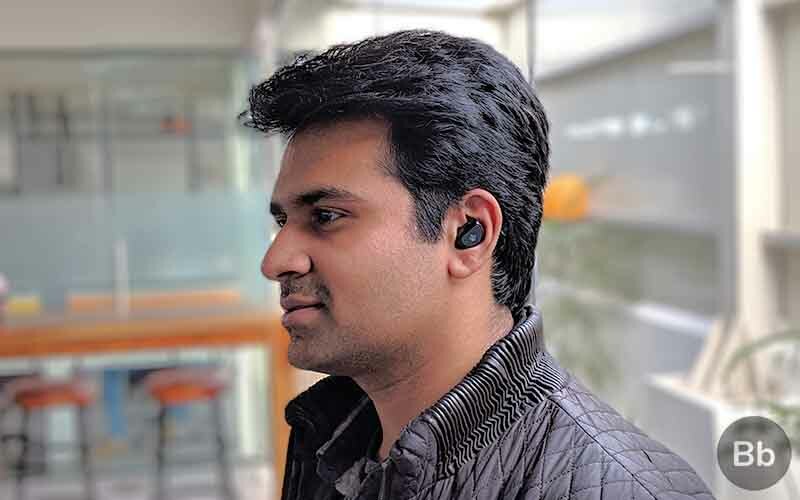 Like I mentioned in my review of ESR’s Truly Wireless earbuds, this particular product category has become my favorite creations in the “tech” space. That being said, not all truly wireless earbuds are worth pouring your money into. Some of them, as we all know, are very expensive while some of them are just bad and not worth checking out. Since then I’ve been on the lookout for a good pair of truly wireless earbuds that won’t break my bank. 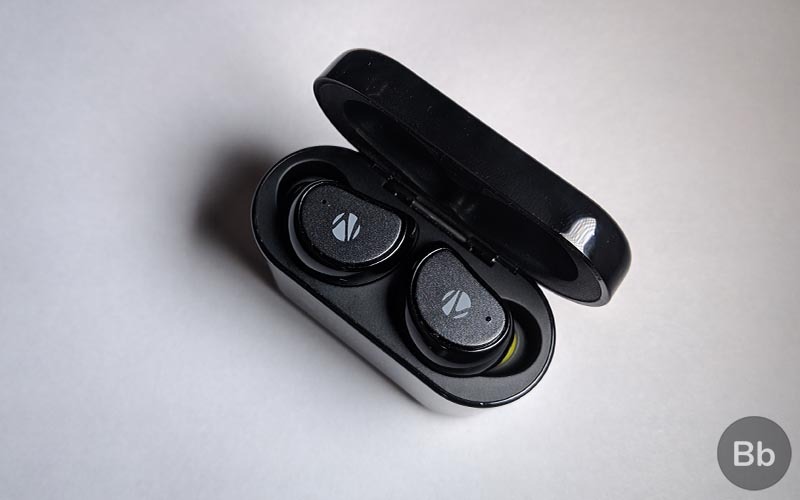 And recently I stumbled upon Zebronics’ Zeb-Peace, a pair of wireless earbuds that comes with an asking price of Rs. 3,999. The first thing that you’ll notice about any product is its design and build quality, and sadly, the Zeb-Peace is just a letdown. I didn’t even have to use it for an extended period before drawing the conclusion that Zebronics has cut some serious corners in this department. As far as the design is concerned, it’s certain that Zebronics is going for a sporty look. It looks identical to something like the Bose SoundSport Free wireless earbuds. Thankfully, the Zeb-Peace isn’t as big as the SoundSport Free. The Zeb-Peace sits snug inside your ears, which is how I like my earbuds. Thankfully, the earbuds themselves are made out of plastic and they’re not as heavy as some other earbuds that I’ve used in the past. It’s also worth pointing out that the earbuds are splash-proof, which means you can use them during your workouts. Now let’s talk about the build quality which, if I am being completely honest, really puts me off. Any pair of earbuds, be it wired or wireless, have to be comfortable to wear. I mean, what good is the sound quality if the earbuds themselves are not comfortable enough to be worn in the first place? Well, I am not sure if it’s just my unit, but the charging pins at the back of the earbuds kept poking the insides of my ears. Just by looking at the earbuds, I can say that the pins are not supposed to protrude. The protrusion is not as bad on the right earbud, but the left earbud was just asking to be removed from my ear. These pins made it really difficult for me to wear and use them comfortably on a day-to-day basis. They even bruised my ears, while I was trying to put them on and even while trying to press the button on the sides. As I said earlier, it’s highly possible that the issue is just limited to my unit. But in my defense, this shouldn’t have been the case since I was using what I believe to be a retail unit. Moving on from the not-so-impressive build quality of the earbuds, let’s talk a bit about the charging/ carrying case. The case itself is quite small and it can easily fit in your pocket. It’s not the smallest case that I’ve so far, but I am not complaining. 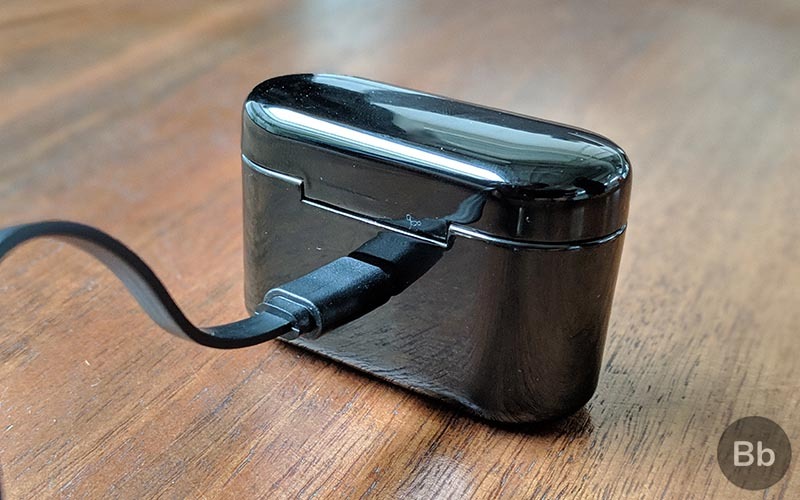 There’s a micro USB port at the back and you’ll also see three LED indicators that keep you in the know of the battery levels of both the earbuds and the case itself. As for the build quality, well, the case is made out of plastic and it has a gloss finish. Some would say it looks quite tacky, but I personally found it usable. I mean, it’s not the kind of design that would speak to you but you won’t have any issues with it either. The case also ships with magnetic points to keep the earbuds in place, so no complaints there either. Overall, I’ll say that I have some mixed feelings about the design and build quality of the Zeb-Peace wireless earbuds. 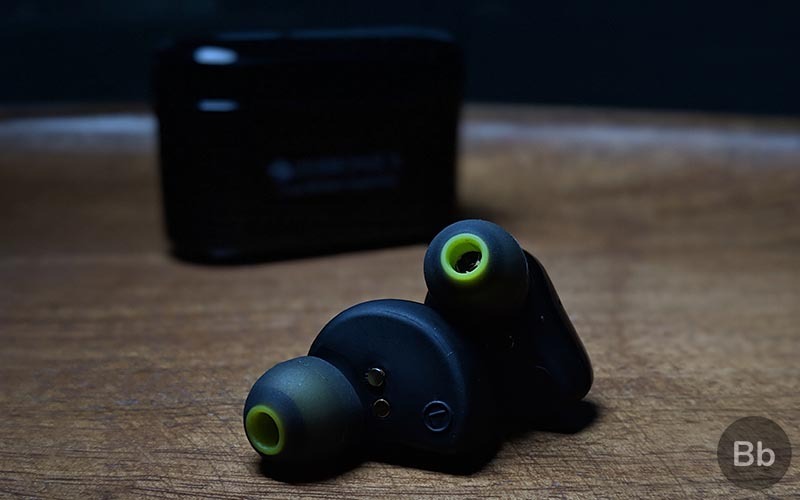 Both the earbuds and the charging case do little to impress you and there are some really good options out there that have a solid build quality around the same price. Well, I’ve already made myself very clear that these are not the most comfortable pair of earbuds that I’ve tried. But as I said, your experience may vary. Besides the protruding pins which I mentioned before, I don’t really have any other complaints. The earbuds ship with a bunch of extra ear tips with which you can find the perfect fit for a pleasant experience. 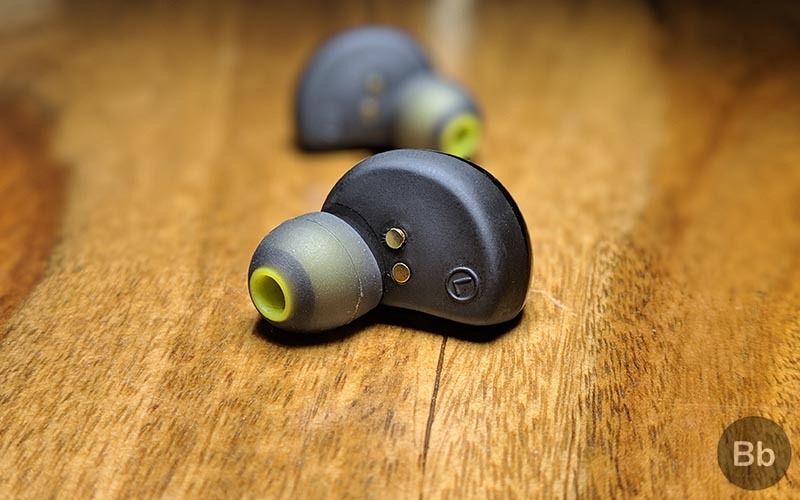 Unlike the ESR earbuds, these don’t ship with comply foam tips. It’s not really a deal breaker, but something to make a note of. One thing which I really liked about the Zeb-Peace is that the earbuds hug your ears if you find the right fit. Unlike some other pair of earbuds that forces you to use ear hooks to keep them in place, the Zeb-Peace managed to stay put. I personally workout less often than I like to admit, but I am sure you’ll be fine wearing this while, say, running or weight training. Now let’s get to the part which you might have been waiting for. The earbuds blow out sound through a pair of 6mm drivers, and the quality is on par with what I expected. They sound good for the most part and it gets decently loud as well, so it’s really good for casual listening. The earbuds managed to pump out a crisp and clear audio quality which is something that I really enjoyed. They were also surprisingly good when it comes to canceling out noise passively. The earbuds have decent mids so you can hear things like dialogues very clearly while watching, say a movie or a TV show. I know a lot of wireless earbuds are sketchy when it comes to handling bass-heavy tracks, but the Zeb-Peace is particularly poor. As someone who’s been listening to a lot of mainstream pop music lately, I found the bass to be all over the place and the overall experience was not enjoyable at all. The Zeb-Peace is also bad when it comes to soundstage i.e. the distribution of vocals and instruments between both the channels. I mean, there have been times when I literally had to pull out an earbud to out of my ear to figure out if it was working. Look, I know a lot of earphones fail to nail things like soundstage properly especially at this price point, but it’s hard not to mention when some other earbuds in and around the same price point handle them exceptionally well. The Zeb-Peace also has a microphone with which you can take calls or talk to the Google Assistant. However, I’d like to point out that only the left earbud works during a call. As for the call quality, I didn’t really have any issues but my callers did say that I wasn’t audible due to excess ambient noise. Overall, I’d say the Zeb-Peace sounds like any other wireless earbuds that you can get at this price point. If I am being completely honest, I am yet to find a pair of truly wireless earbuds that sound “great”. If you are buying a pair of truly wireless earbuds then it’s probably for the convenience of not having to spend time untangling the cables. I am glad that Zebronics, unlike other manufacturers, have managed to make cord-free earbuds that aren’t unbearable to listen. As soon as you pull out the earbuds from the charging case, you’ll have to press the buttons on the sides of the earbuds to power them on and wait for them to establish a connection with each other. Once you get a confirmation via an audio message, you’ll have to connect the left earbud, which shows up as “ZEB-PEACE” to your phone. This may or may not happen automatically, so I recommend doing it manually without having to wait. As for the connection itself, the earbuds are not very reliable. During my usage, I found the right earbud’s connection to be a hit or miss. And since the soundstage of the earbuds is so poor, you won’t even realize that one of the earbuds is not pumping out any sound. And before you ask, yes, I did try pairing the earbuds with both an iPhone and an Android phone, and the problem persisted. Fortunately, battery life is one of the strong points of Zeb-Peace. 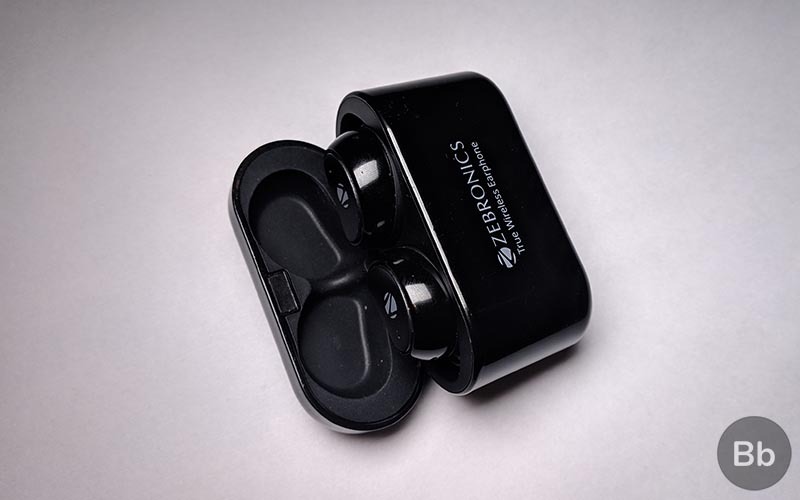 Zebronics says that the earbuds will last for up to two and a half hours before having to put them back into the charging case. While I couldn’t match Zebronics’ claim, I did manage to get around two hours of playback time. Personally, I listen to music at about 80 percent volume, so the performance may vary based on your usage. Once you hear the “low battery” warning message, you can pop the earbuds back in the charging case and top them up in about an hour. The charging case itself would take about three hours to charge itself from zero to 100, but it can top up the earbuds up to four times. While I don’t have too many good things to say about the connectivity, I can confidently say that the Zeb-Peace won’t disappoint you when it comes to the battery life. If you’re a casual listener who consumes music while the daily commute to work, then you may get away throughout the week without charging the case. Zebronics Zeb-Peace Review: Are These Worth Your Money? 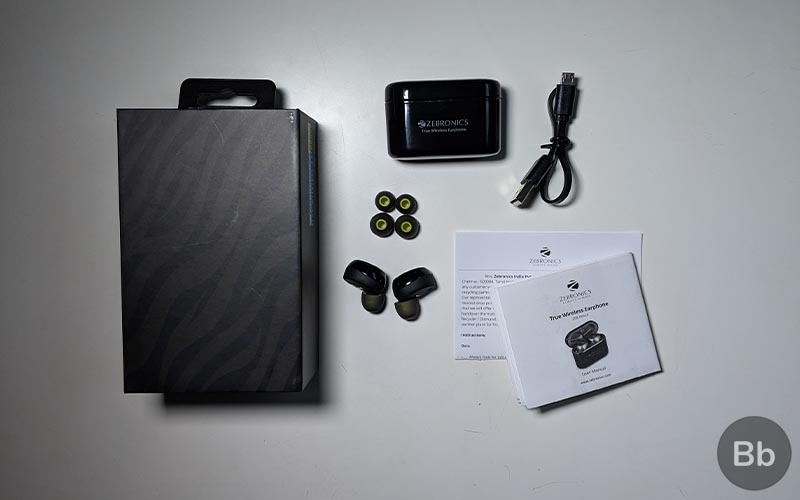 The Zebronics Zeb-Peace wireless earbuds as I mentioned previously are priced at Rs. 3,999. 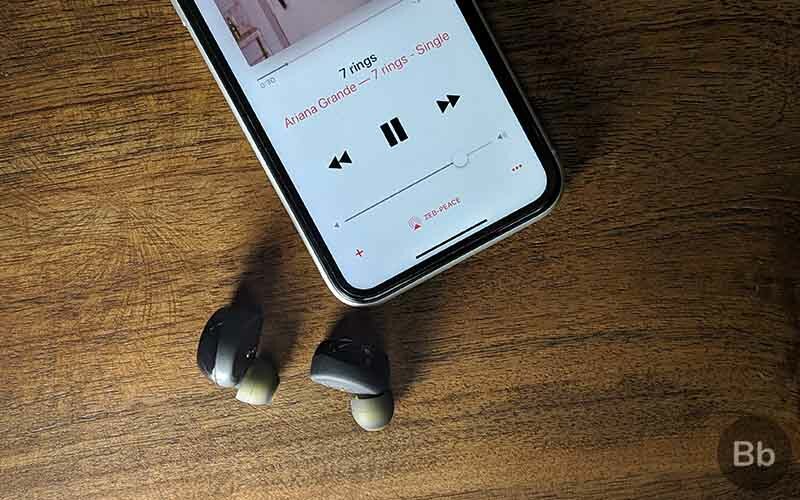 At this price, you won’t find a lot of good truly wireless earbuds, however, we ourselves have reviewed some really good wireless earbuds that gets the job done without breaking your bank. Alternatives like the ESR Truly wireless earbuds (~Rs. 3,500) and the Noise Shots X3 (Rs. 3,999), both of which fall under the same price bracket of under Rs. 4,000, makes it really difficult for me to recommend the Zeb-Peace. In fact, if you’re open to buying a neck-band style earphone, then you must buy the OnePlus Bullets Wireless that’s priced at Rs. 3,990. They’re readily available online and are probably one of the best wireless earphones you can get your hands on right now. 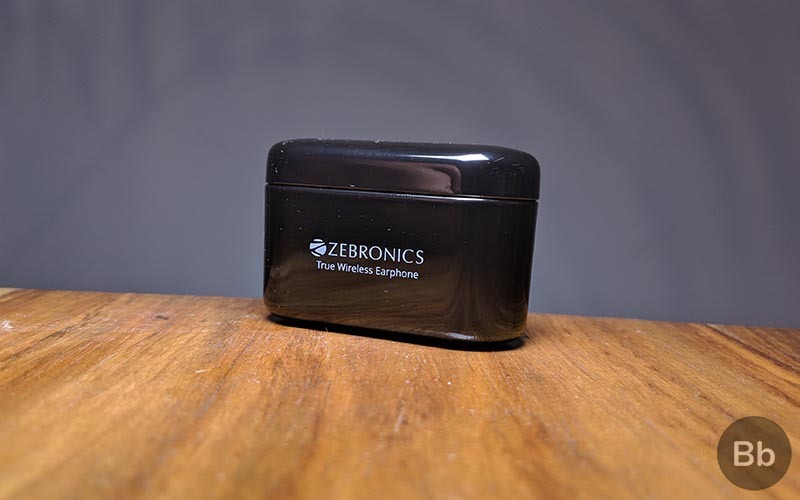 Well, that was my review of the Zebronics Zeb-Peace wireless earbuds. As I’ve mentioned multiple times in this review, it’s really hard to find a “perfect” pair of truly wireless earbuds. Even some of the expensive options out there have a few quirks of their own. So unless you are committed to get rid of the cords, it’s best that you hold on to your neckbands or even the wired earphones for a bit longer. The Zebronics Zeb-Peace fails to justify the Rs. 3,999 price tag. A sub-par build quality, mediocre sound quality, and finicky connection make it really hard for me to recommend these to anyone. There are plenty of wireless earbuds out there in and around the same price, so be sure to check them out on our website. They're just a quick search away.